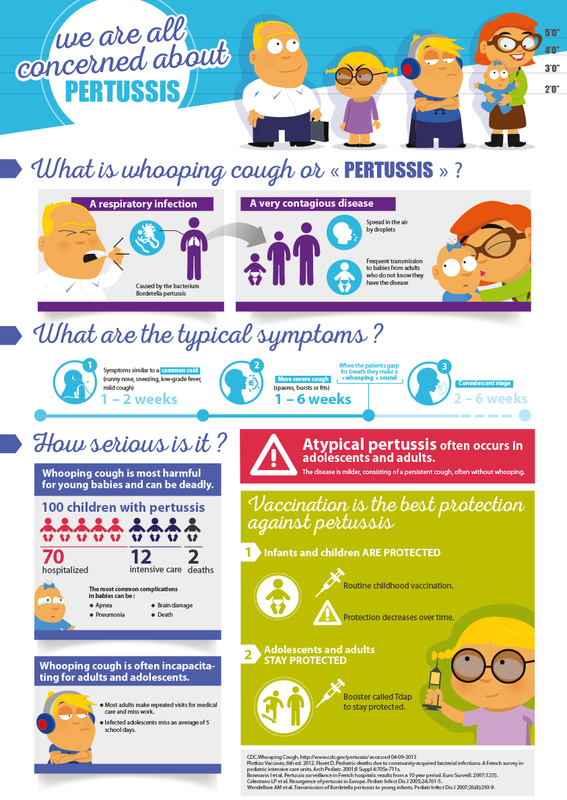 Did you know that pertussis (or whooping cough) does not only affect children? And that you can get pertussis more than once in a lifetime? Preventing transmission from adults and adolescent to the youngest and most vulnerable population is a major goal in the fight against pertussis. The World Health Organisation declared recently that “although vaccination can prevent pertussis in adolescents and adults, there is insufficient evidence that vaccine boosters in these age groups can reduce severe pertussis in infants" (Source: http://www.who.int/immunization/diseases/pertussis/en/). The objective of the PERISCOPE consortium is therefore to set up new tools which will expedite the development of new vaccines and/or vaccination strategies to prevent transmission and reduce severe pertussis in infants. Sanofi Pasteur is full owner of the Pertussons cartoon. The cartoon is posted with agreement by Sanofi Pasteur. The cartoon can be used with no charge but with pre-notification to Sanofi Pasteur (contact: Diane.Buron@remove-this.sanofi.com).